Join a week's summer school in Copenhagen and submerge into the world of geometric network design. Geometric network design (GND) is used to solve problems in i.a. VLSI circuit design, telecommunication, transportation and distribution networks, computer-aided design, medical imaging, site layout and much more. Link to GND2015 conference page. The summer school is primarily targeted at PhD students and advanced Master's students, but is - of course - open to interested junior researchers as well. It will consist of 5 days of lectures and exercises, and a report will have to be written at the end of the course. The price covers all lectures handouts, coffee breaks, lunches and a midway conference dinner. 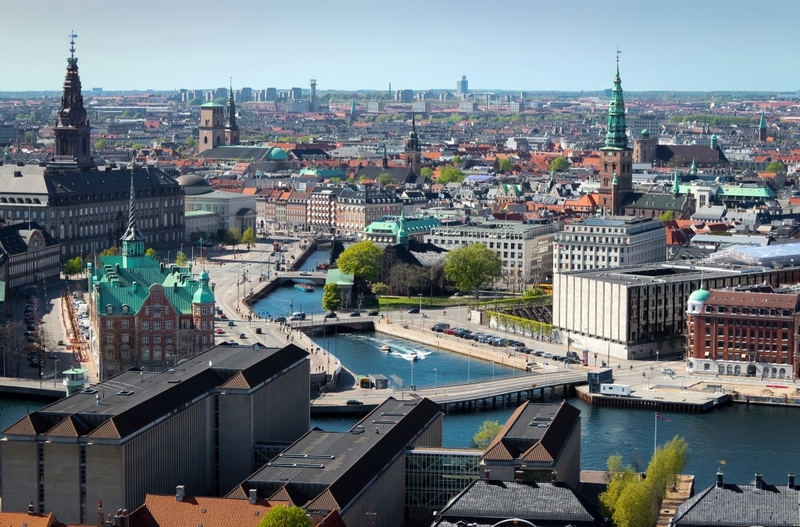 The summer school is hosted by the Department of Computer Science at the University Copenhagen, in cooperation with the PhD School of SCIENCE of the University of Copenhagen. Credits: The photographs of Copenhagen are from http://www.copenhagenmediacenter.com. The credits go to: Thomas Rousing (Copenhagen from above), Ty Stange (Houseboat), Kasper Thye (City of bikes).